I love this car but it loves to rattle. Does anyone know if you have to remove the entire dash array go get at the plastic panel immediately aft of the windshield? Also if anybody has links to instructions on how to disassemble the dash, I would appreciate it greatly. When it gets warm, that piece rattles like crazy. I know it's that piece for sure because I had my friend hold it down and the result stopped. Went to the dealership. They took off the gauge cluster up top, and found a bolt was missing. Apparently my previous dealership did some work in there and didn't tighten it down enough. That's three bolts that Colley Ford has lost for me. 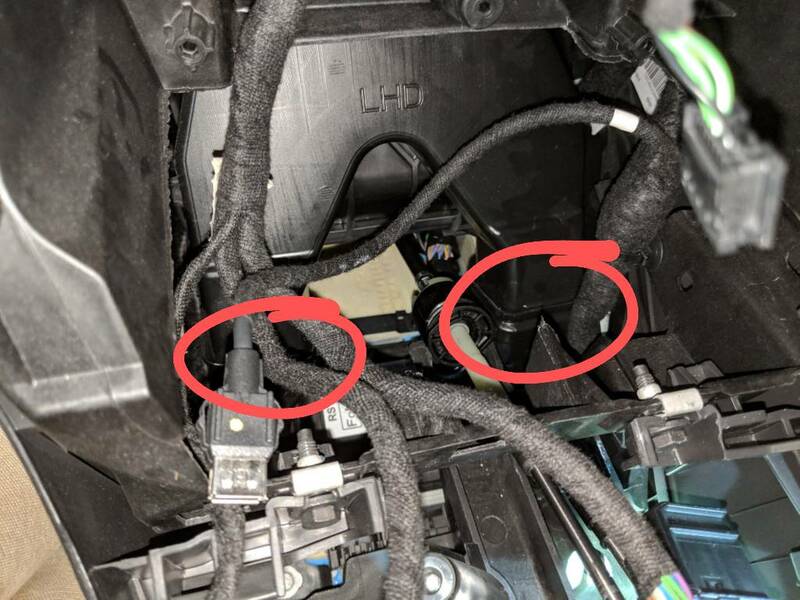 However, I don't think they fished out the bolt that dropped, because 1) they didn't take off the whole console and 2) I still hear the other rattle, which sounds like a bolt sitting on top of something metal. Also they didn't give me my cupholder thingies back. Don't know why that needed taking out, and I don't really care cuz I wanna put a Euro unit in, but weird. I turned on my car today, plugged in Android Auto, and found my screen to be 1) a bit crooked counterclockwise, 2) shifted (camera) left and 3) with a black bar up top. Unplugged my phone to see if it was an Android Auto issue, but no. The Sync screen was also a bit left. I went in to the settings page and it I could see parts of the squares from the next page. Tried a master reset to no avail, so I'm gonna have them look again. After Google apparently a bunch of people started having the Android Auto black bar today, so that's on Google. The screen askew must be from whatever Ed Butts did. Not sure if it's related to the service, but the timing is suspect. I am ready to kick this Ford in the balls. 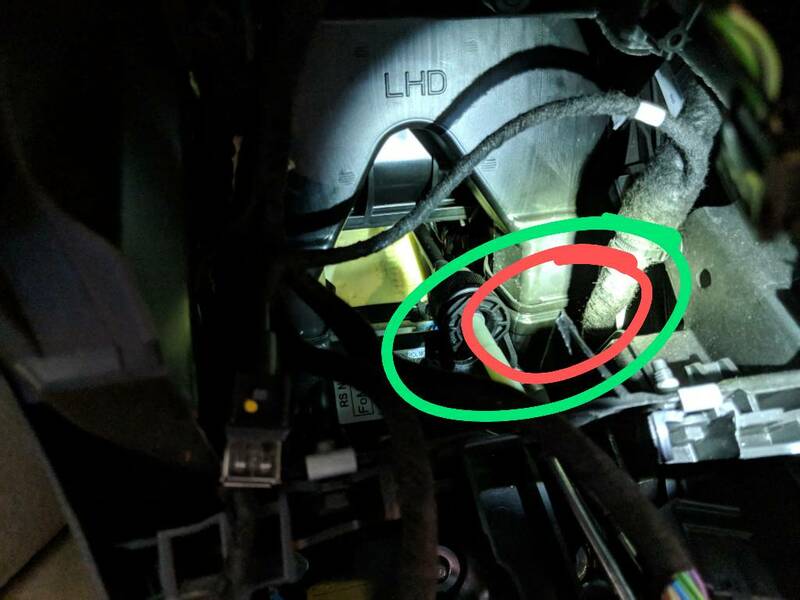 While fixing my screen and installing a new shifter, I noticed that the ducting for the HVAC system just in front of the shifter assembly can come loose. Mine was all the way out. So that could be a source of rattle. There's also an antenna array that's loosely held on to the top of the cupboard by some weak clips, just below the HVAC controls. That was also a source of rattle for me. I will probably use some contact cement on both the ducting and the antenna. Last edited by SenderPiggins; Yesterday at 03:58 PM. I had the same exact issue, it ended up the gauge cluster. I brought it to the dealership and they replaced the whole instrument panel and reprogrammed the miles on it. I know they drove +50 miles on my RS as my GPS notified me when they drive out out and past 65mph. Interesting. Guess I'll take it in. I keep forgetting it's still under warranty. For some reason that's never my first instinct. I guess they do drive it around a bit to find where the rattles come from, but I hesitate to give the dealership the benefit of the doubt, especially after all the crap they've done to my car. I feel you, that's the reason why I told them I know when they drive my car. But when I have a feeling that it would be a warranty service, might as well to bring it in. Just to add, I had the same issue with my Evo IX. The instrument panel, also replaced. Thanks for the note. I'm gonna take it in tomorrow and see what they say. Due for an oil change anyway. The gauge pod? It just pulls up, held in by clips. No tools needed. There are 2 plugs, one for the speaker and one for the gauges. I put electrical tape around the speaker and housing to quiet it down. I have a rattle in my EU radio fascia I'm chasing down too, the clips seem to rattle when cold as they're held in by friction. tracking down rattles in this car is pretty hard. you think its one thing and it turns out to be something else. i have the same cluster rattle that i thought was coming from the spot right after the windshield. i had another rattle i thought was coming from my passenger b-pillar, turns out it was the far right passenger air vent. the only rattle i knew from the start comes from my driver door. I held down the gauge cluster and the rattle was still present, so probably not that. Rattle disappeared when I held down the far plastic panel. Yeah no kidding. I finally fixed my seatbelt adjuster rattle and now this. It's like a Hydra. Dashboard / Window Screen CAM? Anyone installed yet?